SoftLogica focuses on the development, marketing and support of file and network management tools and utilities. We combine the high-level skills and wide experience of our technical professionals with the efficient approach to the market. We work to solve the present-day needs of our customers by providing the quality products and support services. 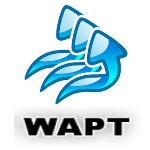 WAPT is a load and stress testing tool that provides a way to test any web site, including business applications, mobile sites, web portals, etc. It works as a single application that includes test design and load generation features. You can record tests using any desktop or mobile browser, design and optimize them with help of a convenient product GUI and run test scenarios with up to approximately 2,000 concurrent virtual users. Your target web site can run under any OS, including all UNIX and Windows platforms. It can be implemented with any web technology and have a distributed architecture consisting of multiple servers and databases. The only requirement is the availability of a web interface through which WAPT can simulate the activity of real site visitors.